Are you a hitwoman with metal hands? Do you like action and adventure vampire stories with a witty twist? 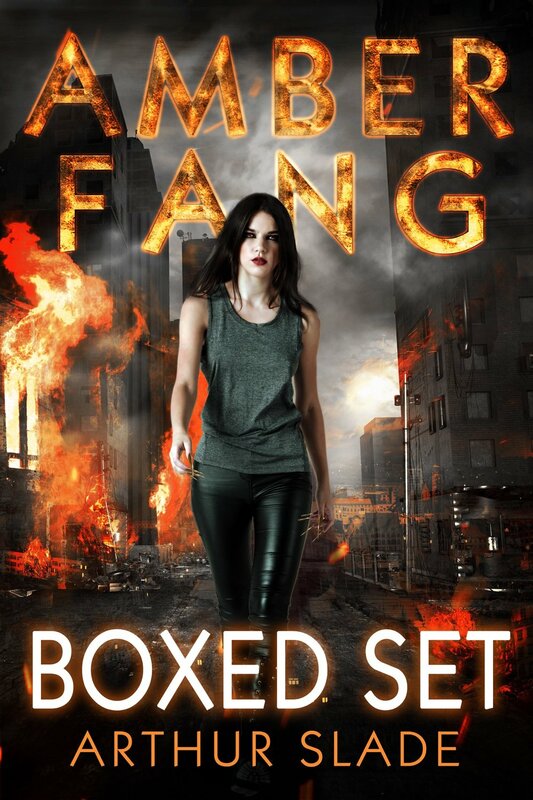 Then you'll instantly love the complete collection of Amber Fang books. She's a librarian and an assassin and a vampire. And she loves her work. Whether it's tracking down murderers, battling mercenaries, or making friends with ninja librarians. She can do it all. Experience a mind-bending mix of full-throttle action with a pinch of comedy and a dash of romance. Amber Fang enjoys life's simple pleasures - a good book, a glass of wine and, of course, a great meal. Raised to eat ethically, Amber dines only on delicious, cold-blooded killers. But being sure they’re actually killers takes time… research… patience. 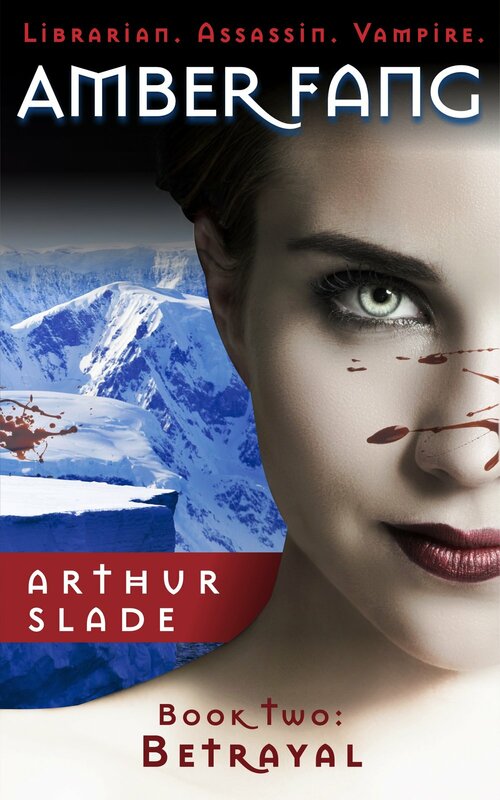 Amber Fang is the first book in a new action and adventure vampire series by bestselling author Arthur Slade. For Amber Fang, life used to be simple: study library science by day, read by night and, whenever hungry, enjoy an ethical meal. Her mother had taught her well – it's only good etiquette to eat murderers. But now her mom has vanished and Amber is alone. Her job as an assassin for a top-secret organization has been terminated. And ZARC, an arms dealing company, is still trying to hunt her down using algorithms, drones and a murderess with metal hands. Through the dark web Amber learns that her long lost mother has been “disappeared” to a secret compound in Antarctica. When Amber arrives and pries open a door to investigate, what she discovers shocks her to the core. And it will change her life forever. Join Amber Fang’s adventure. Buy this book! Be the first to get the book! Pre-order today! Life as an ethical vampire isn’t easy for Amber Fang. First off, she has to track down and eat a murderer every month. Secondly, her mother is imprisoned in a bunker controlled by ZARC, a multinational arms dealing company. And, of course, her fellow vampires are hunting her down, hoping to rid the world of ethical bloodsuckers. He’s the last living member of the League, her employers. She can’t decide whether to kiss him or kill him. He’s promised to find her mother. And their first lead takes them to the sunny beaches of Belize. Then ZARC strikes a blow that leaves Amber stunned and heartbroken. But it could very well be their last mistake. Because now Amber is out for revenge.